The One is book 3 in The Selection Series. 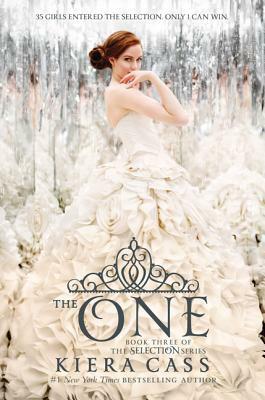 This is the final story with the leads being America Singer and Prince Maxon, though the series does continue with another lead in the slight future. I've been binge listening to these audiobooks via the library and I'm glad I tried them! This series is like a cross of dystopian and the TV show The Bachelor. If you're into both of those, you'll love these books. America Singer returns and is one of the last four girls that Prince Maxon will be choosing from to be the next Princess. We have a lot of unrest with the rebels that have continued to attack the palace and we finally find out their motivation and what exactly they want to happen. America is STILL trying to figure out if she wants to choose Maxon, or her first love Aspen. I knew who I was rooting for and so many issues arise I was questioning if it would happen. There are some twists and turns I didn't see coming but I was happy with the way America's story ended. I think I will check out the next few books just to see how the story continues. If you've been wanting to try this series I say go for it, I found it enjoyable.